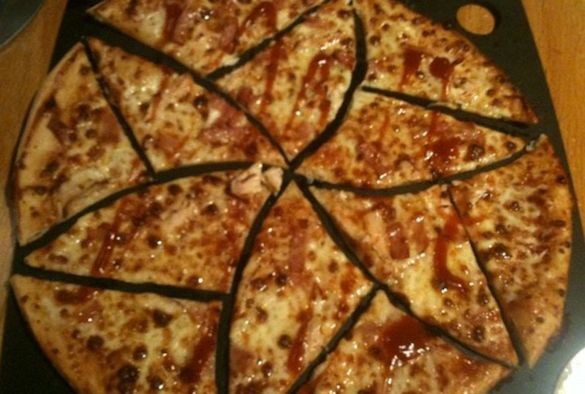 Mathematicians at the University of Liverpool researching a long-standing mathematical conundrum have found their results can be applied to the art of pizza cutting. Dr Joel Haddley and PhD candidate, Stephen Worsley, from the University’s Department of Mathematical Sciences looked at the number of ways a flat disc can be cut into equal-sized pieces. 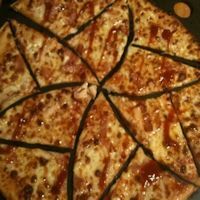 They then looked to see if there were other ways to cut a flat disc into equal-sized pieces with some pieces not touching the centre and found that this was possible. The researchers demonstrated that it is possible to cut a flat disc into scythe-shaped, curved slices with any odd-number of sides – known as 5-gons, 7-gons, 9-gons. The research is published in a paper entitled “Infinite Families Of Monohedral Disk Tilings. An article was published in New Scientist about these research findings and it has been covered widely in the media.